Hello Lancaster and another show and MORE snow! We are looking at the possibility of 3″+ here in Lancaster. My booth is setup and ready for you. The big question,??? Will quilters venture out? We vendors sure hope so. I saw some amazing booths and quilts. My booth location has changed since last year. You will find me in Booth#1158, to the right as you walk in, instead of left. I’m hanging out with my friends Donna and Joanne. I said I needed some tips….their response…bring a hat and boots!! It is cold and snowy out there! Tee Hee! And see my view below after a full day on my feet for setup. 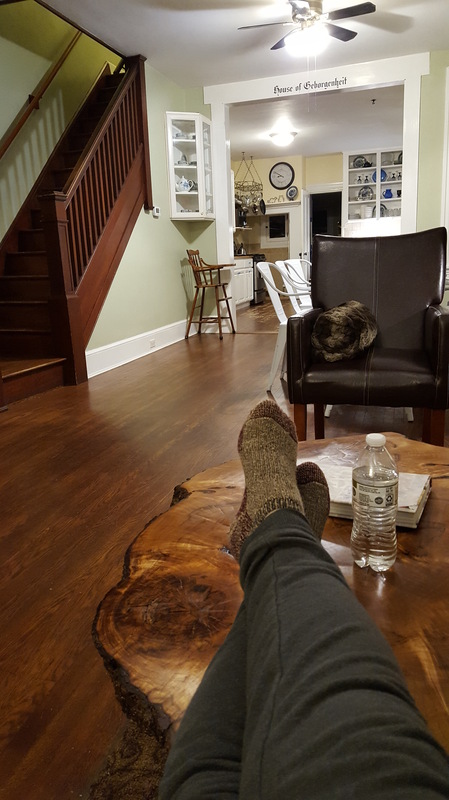 My new alpaca socks and a beautiful old home we are staying at in Lancaster. And a bit of color before dinner! 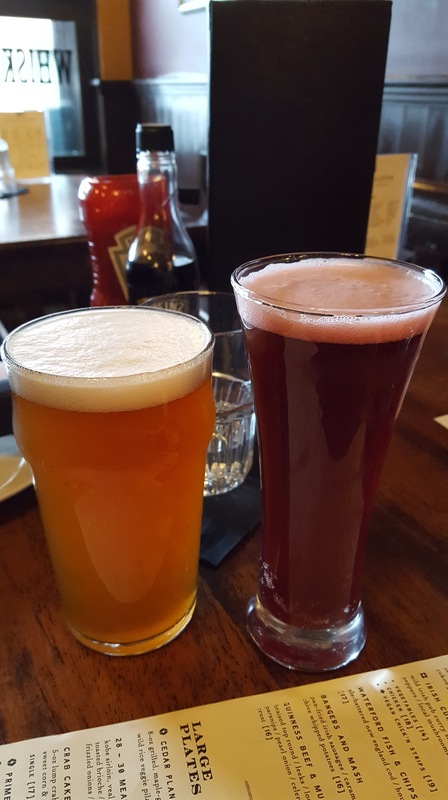 On the right..Lindemans Framboise Lambic. A report from my Guild’s show (Thimble Pleasures) this past weekend…..My “You’ve Got a Friend” song challenge won second place in its category! I’m thrilled and appreciative of my peers for voting for my quilt. 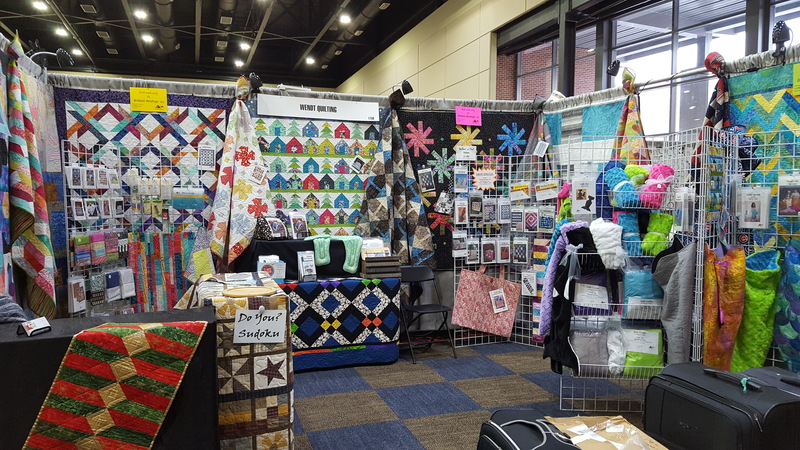 To take some words from the lyrics, “winter, spring, summer or fall, all you have to do is call…” Inspiration after going to a James Taylor concert with my quilting friend Michelle B. and several other quilter and vendor friends! And thinking of all my friends who are just a phone call away. “You’ve Got a Friend” D.W.
#1 – Bring a hat and boots when traveling to a quilt show in the winter…oh wait, tomorrow is the first day of Spring! #2- Rehydrate before, during and after you walk a quilt show! #3- BONUS- make a quilt to commerate an event or favorite song or friend(s) in your life. 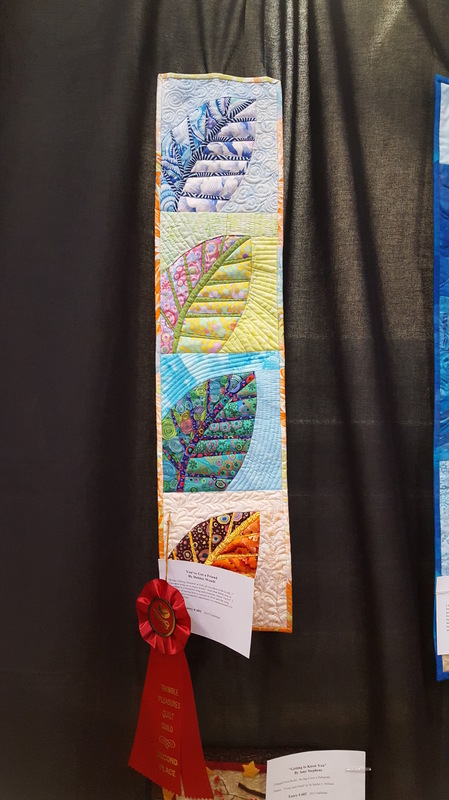 This entry was posted in Quilt shows, Uncategorized. Bookmark the permalink.